As with most new things, especially on the Internet, online poker history has humble beginnings that few paid attention to. It’s rooted in those early web days of unlimited potential and eye-searing design. 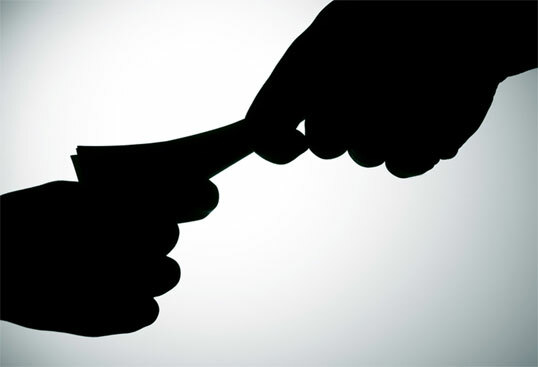 It flows right up through the past decade of political corruption and government overreach. Few new industries survive 10 years, let alone the 20 we are approaching in online poker’s history. Revel in the plummeting lows, towering highs, and the current quiet steadiness. It would all make a great epic movie some day. Let me tell you a small chapter. 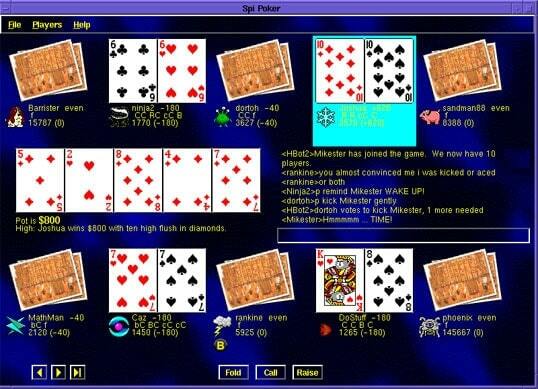 The exact date of the first “online poker” games in history is unknown, but many report that it was in 1994. It may be a stretch by today’s standards, but that’s literally what these earliest games were: poker games played online against other live humans. Online poker history was happening at the same time as I was paying $4 (or was it $8?) an hour to check sports scores on Prodigy. 14,400 bauds is enough for spades, diamonds, hearts, and clubs. 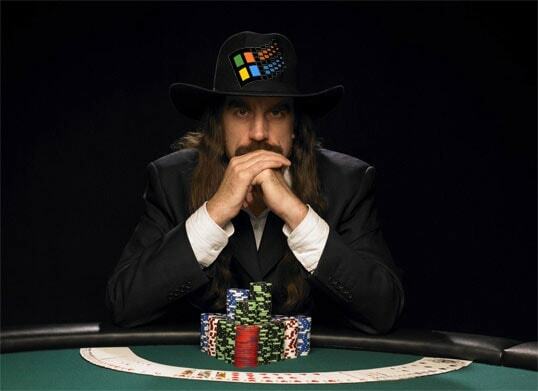 This was one of the more interesting graphical IRC poker graphical clients in online poker history. Eye-searing tiled background and color scheme? Check. 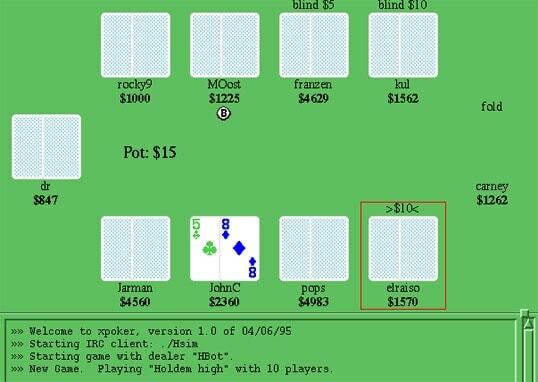 In 1994 Todd Mummertwrote the code and script for a poker game that could be played using Internet Relay Chat, or IRC. IRC was a system developed in the late 1980’s that let users set up chat rooms and communicate using the Internet in a fairly easy method. In order to use it you had to learn a little about the technical side of things so the user base tended to be on the tech, or using a more crude word, nerd side. IRC Poker was all for play money. Or was it? The first poker games in online poker history were played for play money, at least on the surface. No real money play was offered. Each user account received 1,000 chips per day. 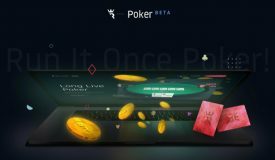 Some users created multiple accounts and played dummy games in order to build a large bankroll. I’ve read accounts from players of those IRC poker games who said that they actually settled up in person for the “play money” games, which is fascinating to me. Obviously the IRC system wasn’t set up to handle real money so they just used it to represent their offline money. 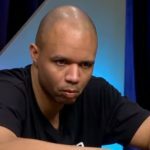 Chris “Jesus” Ferguson is listed as one of the poker players who went on to bigger things in the industry that got his start playing IRC poker. If you care for a brief poker-centric view of the web in the days of spinning 3D clip art and Netscape or if you actually want to try to set up a retro online poker game, Mummert’s IRC poker page is still live. The following games were/are available on the IRC platform. For something developed in what many consider the stone age of the Internet it’s pretty amazing how many poker variations could be played. 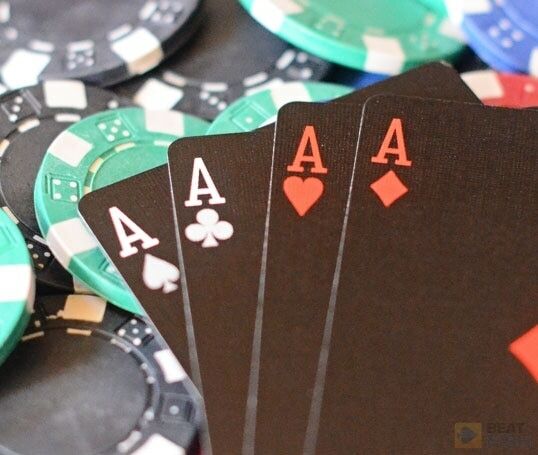 When’s the last time you played in a Texas holdem high / low game? 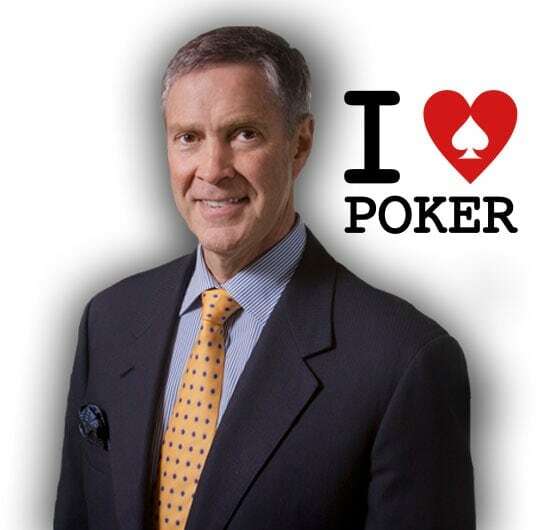 What was the first online poker site? The first real money hand in online poker history was dealt on January 1st, 1998 by Planet Poker. The Planet Poker software was being tested in 1997 and once real money play launched the site quickly gained popularity and players. Mike Caro was the big name endorsing the site. 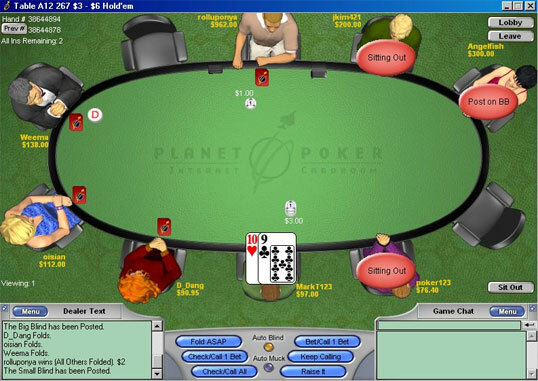 Many software crashes and issues were common during the first few years of play, but the player base continued to grow because Planet Poker was the only game in town. 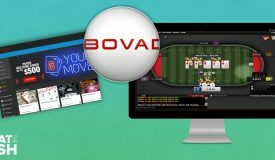 It is both a testament to its ingenuity and an indictment of the current lack of innovation that modern online poker clients work remarkably similar to the original Planet Poker software. Incidentally, Planet Poker still survives as a subscription-based online poker site. 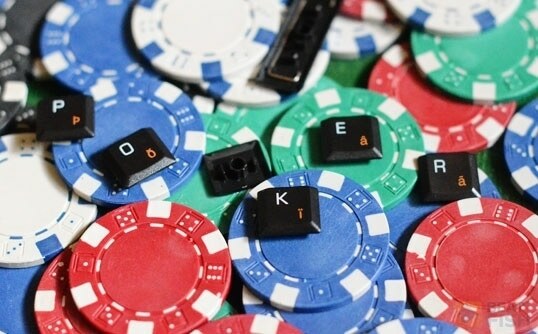 Which online poker sites launched next? In 1999 a new real money web site launched called Paradise Poker. 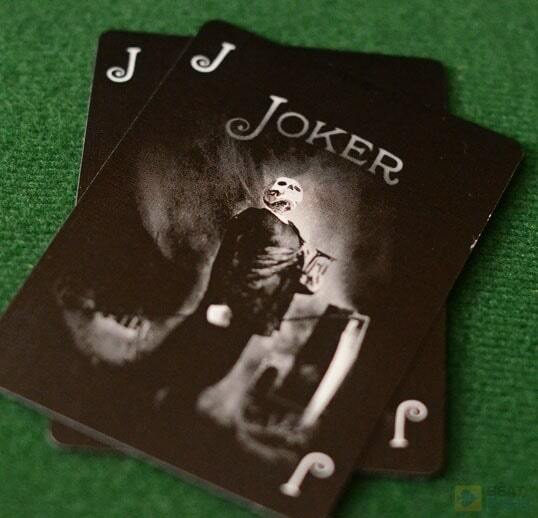 It quickly overtook Planet Poker and became the most popular poker site online. The software was more stable and players could not only play in Texas Hold’em cash games like those offered on Planet Poker, but could also play 7 Card Stud and Omaha. Everyone involved claim it was just a coincidence, but around the time Paradise Poker launched, Planet Poker had a long outage. I don’t think there’s any argument that this helped push many players to Paradise and helped them become the highest traffic site quickly after they launched. The entire thing seems a bit suspicious, but the official line is that it was just a coincidence. 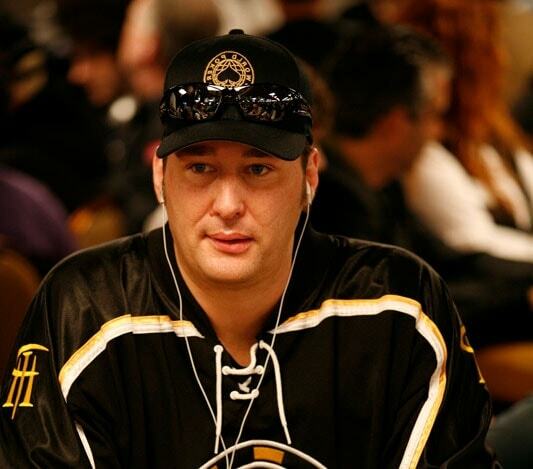 The early 2000’s were filled with important things happening in online poker history. Two of the true giants in online poker launched and a third major player for much of the 2000’s also launched. UltimateBet was the third major poker room to launch after Planet and Paradise, starting to take real money play in 2000. Another milestone that is often forgotten happened in 2000. 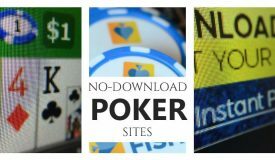 Poker Spot opened for business and they were the first poker room to offer online tournament play. The reason they are often forgotten is they only lasted a year or so. You can read more about why in the scandals section. I remember Planet Poker in the early days, but I never played at the room. I did play at Paradise Poker, as well as UltimateBet, Party Poker, PokerStars, and dozens of other rooms that opened in the 2000’s. 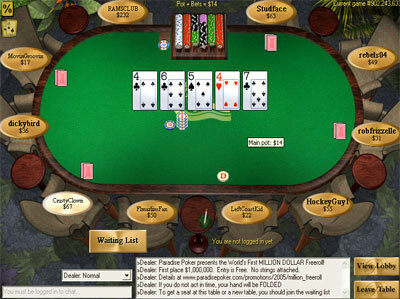 Paradise Poker always seemed to have great graphics for its day and an easy-to-use player interface. Ordering a virtual hot dog from a menu to sit on a side table next to you never got old. The early 2000s were fun years in online poker history. There was healthy competition and choices for players, no one was really in on the secret yet, and the government largely just left things alone. Things were about to change in a big way. The next year, 2001, saw both Party Poker and PokerStars make this the most significant launch year in online poker history. Between the two, they have been the largest online poker rooms for almost 15 years. 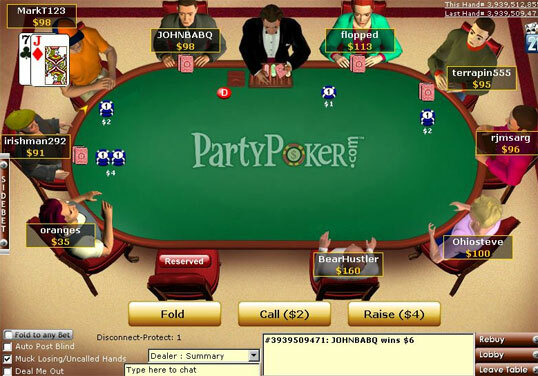 Party Poker became the largest online poker room in 2002, unseating Paradise Poker, and remained at the top until they left the US market in 2006. At one time during the poker explosion discussed below it was estimated that Party Poker was making over a million US dollars a day. 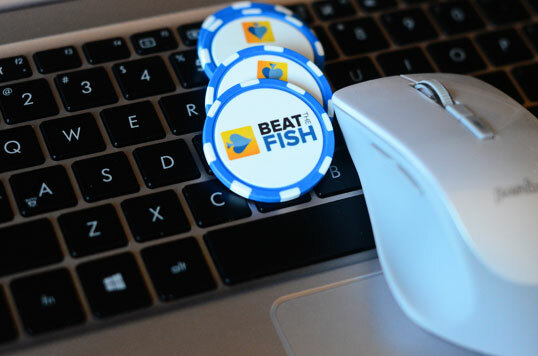 A few of the things that helped launch Party Poker to the front of the online poker market were their early adoption of aggressive advertising, including television commercials, and how they quickly realized the powerful draw of tournament poker. Party Poker offered the first million dollar guaranteed online poker tournament in 2002. If you didn’t start playing online poker until around 2003 or later you’re probably used to being able to find full tables at many different buy ins and limits and dozens of tournaments running all of the time. In the early days this wasn’t always the case. Many early online poker rooms employed prop players who were paid to play real money games in order to have enough players to fill tables. When a table started to fill the prop players were forced to go to a different table to help get another table up and running. 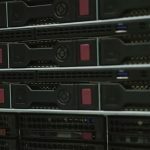 How did new online poker sites get off the ground? The problem with any new online poker room is reaching a point where you have enough players to have full tables around the clock. If a new player signs up and can’t find a table to play on they’ll leave and may never come back. You can use one of two ways to get around this. The first one is to use a bunch of prop players and the other is to build a large community of free-money players, build a large amount of hype around a set real-money launch date, and convert a large enough percentage of your free money players to real money players on launch day. I remember reading ads looking for prop players and at one time a few players made enough between working as props and their table winnings to make a decent living. I haven’t seen anything about online prop players for years, but I know that land-based poker rooms still use them. 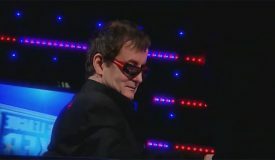 Becoming a prop player without any special effort was one of the main hooks of the old Interpoker, which never quite took off enough to support a healthy player base naturally. Any player could receive a pop-up in the poker software offering them $10-30 per hour to help start new games. It was a unique offer that didn’t catch on, largely due to the fact that you had no control over the stakes or tables they offered you. In 2003 PokerStars started offering satellite tournaments designed so players could win their way into the World Series of Poker $10,000 main event. 37 players won their entry to the Main Event on PokerStars that year, and one of them was lucky enough to win the tournament. 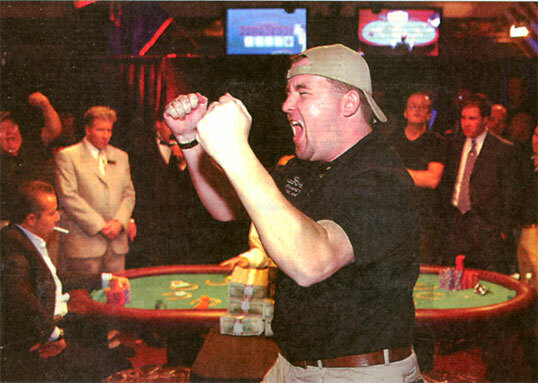 Chris Moneymaker was the WSOP Main Event winner and he won his entry from a $40 buy in. 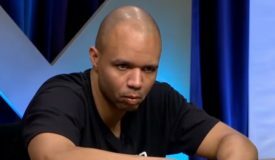 The fact that he had a great last name for marketing purposes and that he won a satellite tournament to gain entry weren’t enough to fuel the explosion in the popularity of online poker by themselves. But when combined with ESPN televising the final table seemingly dozens of times and online poker rooms took advantage of lax advertising rules it created a perfect storm that sent the market into billions of dollars over the next several years. 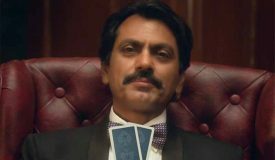 Poker, and online poker in particular, was entering the world of pop culture fads. 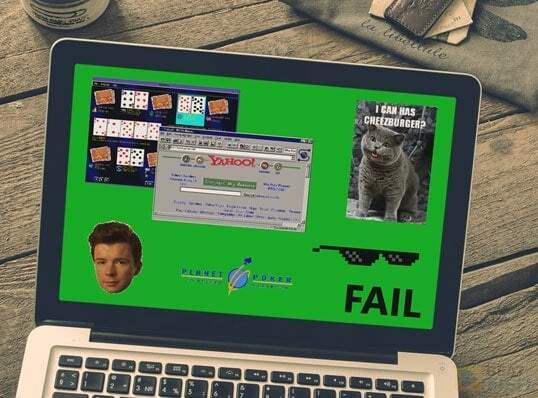 TV and print ads for online poker sites were everywhere, forcing its way into the eyeballs of young males the same way daily fantasy sports does today. From 2003 until 2006 the online poker world exploded with thousands and thousands of new players trying their luck at the tables. 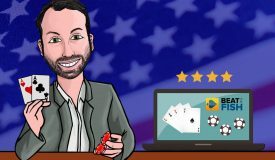 New poker rooms opened left and right for any startup with a few bucks and a dream, billions of dollars were earned, and the greed-mongers in Congress hadn’t figured out how to regulate it all yet. 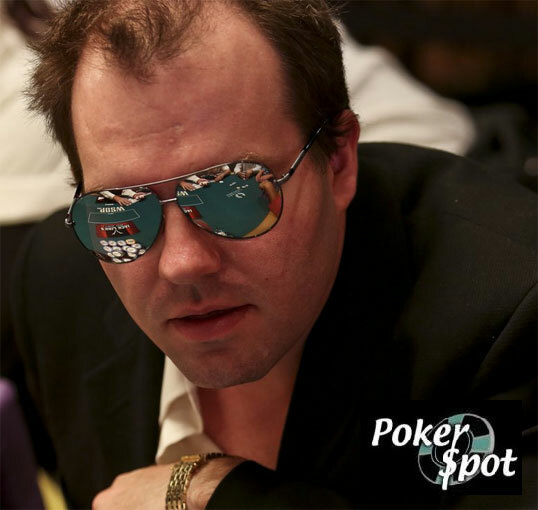 Pro poker players became rock stars and household names. The story of Moneymaker and his ilk was just too compelling and relatable to resist. 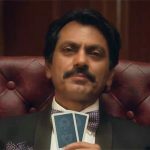 Players today usually remember those halcyon years of online poker history with fondness, largely because the experience is so different today. Easy banking, full tables of terrible players, and dozens of quality online poker site choices marked those years. It all just seemed a bit more fun. The first big blow to the online poker industry came in October 2006 when the Unlawful Internet Gaming Enforcement Act, UIGEA, was tacked onto the Safe Ports Act at the last minute. The UIGEA basically states that it’s illegal to process payments dealing with online gambling. This is an enforcement act solely focused on banks, financial institutions, and payment processor and not players, but it had an immediate impact on the poker world. PokerStars stayed in the market while every publicly traded poker room left, including Party Poker and 888. Perhaps the biggest miscalculation was by Partygaming, who voluntarily withdrew from the US market despite no laws actually changing with the UIGEA. As the biggest online poker room at the time, Party pushed over the first domino by setting that trend. This let PokerStars grab a commanding lead in players that they still hold today, despite the antics of poker’s Black Friday. US poker players still feel the effects of the UIGEA every time they try to make a deposit or withdrawal from an online poker room. 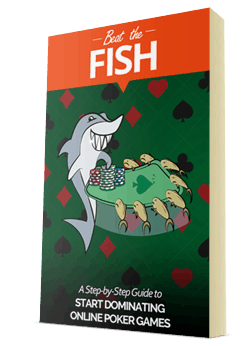 Players can usually get money in and out but it isn’t as easy as it used to be and many poker rooms are using account and business names that aren’t related to online gaming to get their payments processed. The biggest issue for most players that came indirectly from the UIGEA was when NETeller stopped letting US customers use their service in 2007. The US DoJ shut the service down and froze millions of dollars in player funds. 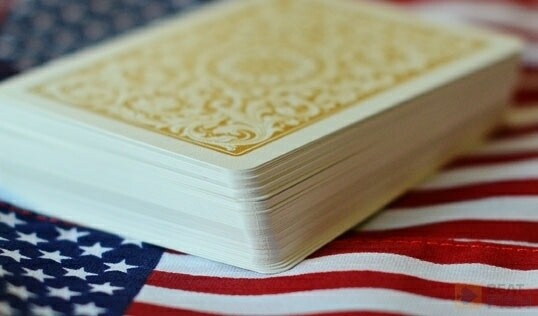 The players eventually got their money, but it took quite a few months for the money to be released and, of course, at the expense of having all of their poker financial transactions shared with the US government. 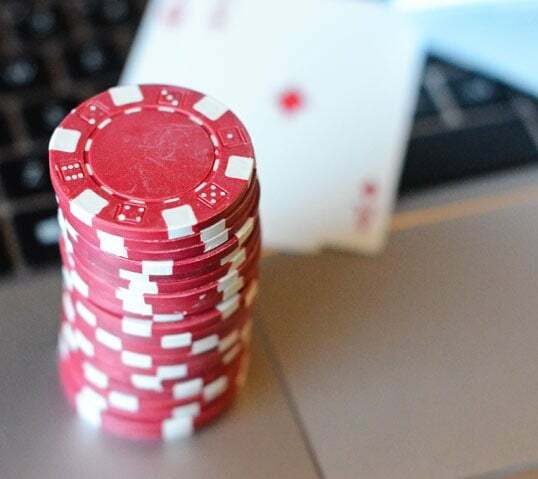 The online poker community has continued to be strong, with tens of thousands of players playing online poker at any time day or night, but a number of scandals and scams have shaped online poker history over the years. In 1999 a company named Cigital cracked the supposedly random number generator used by Planet Poker as the root of the RNG was based simply on the current time. This was announced and the poker room corrected the problem. It’s believed that no one used this flaw to win money, but it came as a jolt to the industry and introduced the concept in many players’ minds that they could be cheated. Sadly, this fear was reinforced years later with a couple of higher-profile cases of cheating. The next scandal involves poker pro Dutch Boyd and the room named PokerSpot in 2000. Poker Spot was owned by Boyd and was the first online poker room to offer tournaments and quickly gained popularity for this reason. PokerSpot forced out of business in 2001 as they stopped paying players. The site claimed it was caused by credit card processors in the end, but they supposedly told players that the check was in the mail repeatedly as they were sinking. Estimates of the amount players never received are almost a half-million dollars. 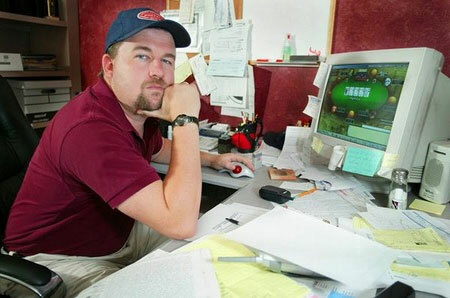 In 2007 Absolute Poker admitted that an employee had somehow altered the software and was playing at high limit tables while being able to see the opponent’s hole cards. Sadly it took a group of players tracking a number of hands against the cheating player who recognized patterns of play that showed the player was cheating before the poker room even started investigating. This was a much bigger deal than the Planet Poker scandal because players were actually cheated out of money and the online game had become much more popular. The popularity made the coverage of the event spread faster and to a bigger audience than the earlier scandal. Some estimates put the amount of funds stolen through cheating at over 10 million dollars. The very next year, in 2008, UltimateBet went through almost the same scandal. A few prior employees stated that insiders could use a software backdoor to see their opponent’s hole cards. UltimateBet later admitted this was true. 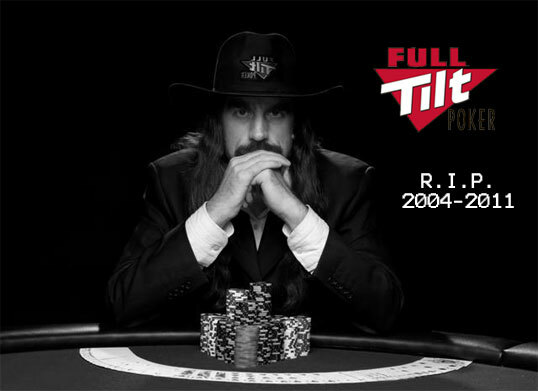 Names associated with Full Tilt Poker included Ray Bitar, Rafe Furst, Howard Lederer, and Chris Ferguson. 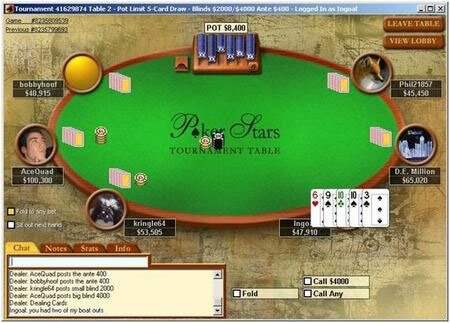 In July of 2012 PokerStars agreed to buy Full Tilt Poker and pay penalties to the DoJ. All civil complaints against both companies were dismissed. 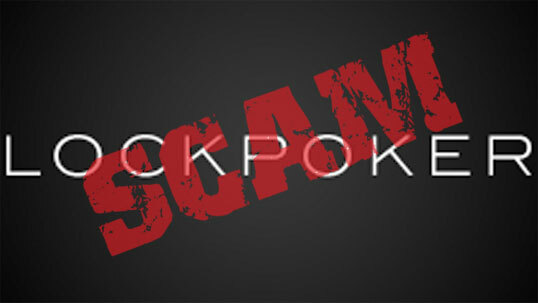 Lock Poker was a fairly popular US facing poker room after Black Friday but ended up going bad and cheating players out of an estimated 15 million or more. 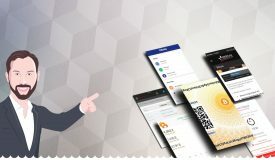 The site had a history of slow payouts and toward the end there were some complaints of close to two years of unpaid cash out requests. The room closed on April 2015, but had been on many blacklists since as early as 2010. How does online poker cheating work? The other issue with online poker cheating is the possibility of collusion between two or more players. If two or more players are sitting at the same table and sharing their hole cards using an instant messaging program or by text or phone they can alter the outcome of the game by quite a bit over time. At a table with six players, two players are sharing information. A player with KK faces an all in from a solid player, so the only hand she’s really afraid of is AA. If the person she’s sharing information with folded a hand with an ace, it reduces the odds the other player has a pair of aces. This may not seem like it could change the odds much, but if you can improve your winning percentage by just a point or two it can mean thousands of dollars a year or more in extra winnings. Of course there are other examples, like determining you or your opponent’s outs to a flush or straight or chance to hit a set. Remember that poker is a game of small percentages and odds, so any small improvement can make a big difference. 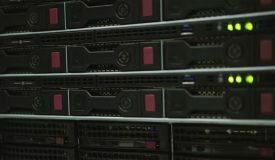 On April 15, 2011 indictments against PokerStars, Full Tilt Poker, and Absolute Poker/UB were opened and all three sites had their domains seized by the US DoJ. 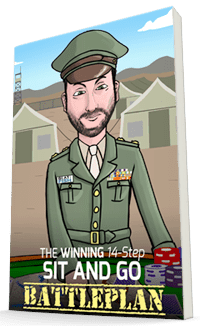 This effectively drove the three biggest poker sites out of the US market. The only main site that was offering play to US players that didn’t get nailed was Bodog (who has since been rebranded to Bovada). I’ve always thought it was interesting why they were able to avoid some of the issues on Black Friday while the other three sites mentioned above didn’t. 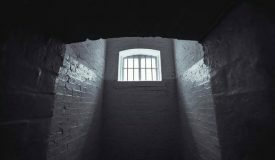 I believe that the founder of the company, Calvin Ayre, was smart enough to see the writing on the wall and set things up by this point in time so the DoJ couldn’t do anything to the business. Only PokerStars reached an agreement with the US DoJ that included buying Full Tilt Poker and paying almost $1 billion in fines. Later the company was acquired by Amaya Gaming and the new company has been able to maintain the lead in player traffic at a dominant level. Operating after the UIGEA and paying almost a billion dollars to keep its non-US games ended up being an incredible business move. 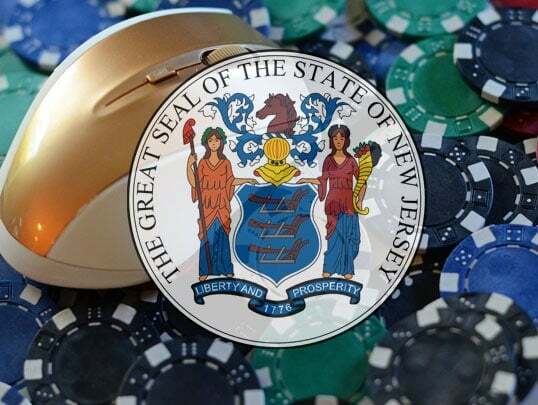 PokerStars has been approved to offer poker to the regulated US market in New Jersey. 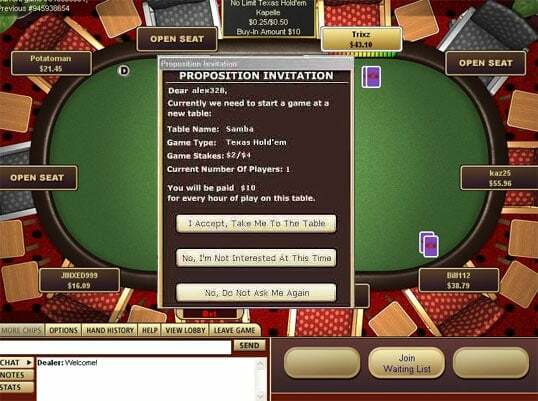 Three states have taken the initiative and offer some form of regulated online poker. The federal government largely defers gaming rights to individual states, allowing them to make up their own minds on individual laws or hosted games. 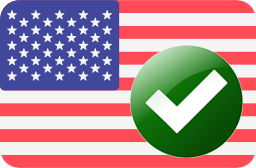 The first regulated poker hand in United States online poker history was dealt on April 30, 2013. 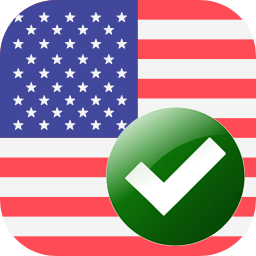 Most players located in the US hope that more states jump on board and the regulations reach a tipping point and everyone can play on a regulated site. The next major hurdle is the agreements that have to be in place for states to share player pools. This could all be taken care of on the federal level but the feds have basically washed their hands of the entire thing and have left all of the decisions to the individual states. Online poker appears to be continuing strongly more or less, although the market is forever fragmented between the haves of the rest of the world and the have-nots in American players. 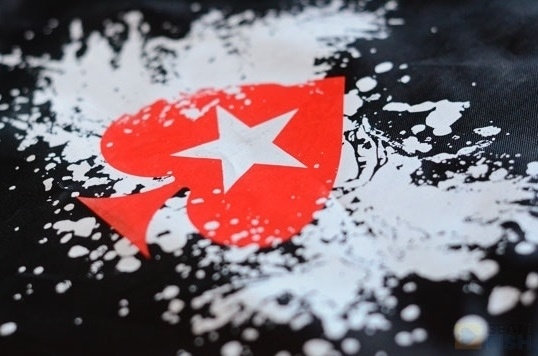 The top poker site, PokerStars, does not accept US players and is showing almost 30,000 real money players at peak hours. 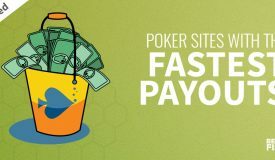 18 poker networks are showing at least 1,000 real money players at peak hours. The top US facing poker room shows over 3,500 real money players at peak hours. 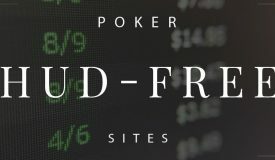 PokerStars owns five of the top 12 sites measured by daily traffic, and other big players include 888, the iPoker network, Party Poker, Winamax, MPN, and Bodog. 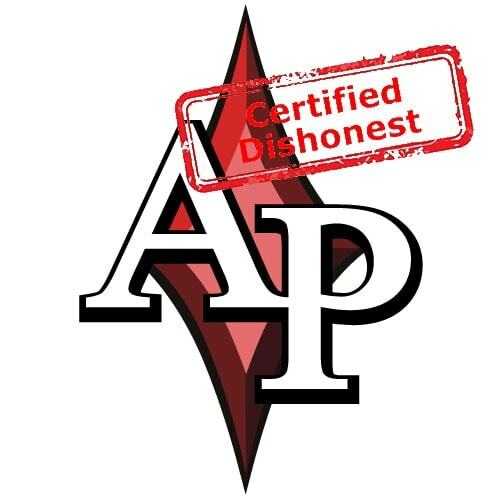 We are in a relative state of calmness and stability in relation to the rest of online poker’s history with no major scandal or government interference for half a decade. US players are either playing at small private sites or are waiting for their state legislatures to figure out who’s going to get the most money from licensed games.